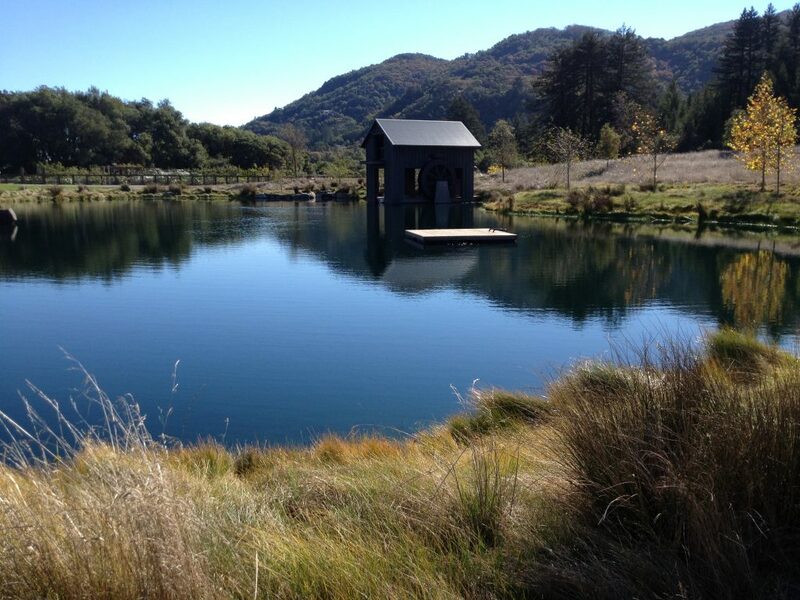 Private Pond Design Build | Prunuske Chatham, Inc.
PCI designed and constructed a 5.5 acre-foot swimming pond and its surrounding landscape on a private ranch on Sonoma Mountain. The project includes a newly constructed embankment, spillway, pond liner, underwater habitat structures, boathouse, docks, footbridge, paths, beach, boulder outcropping, a stream channel and native planting throughout. 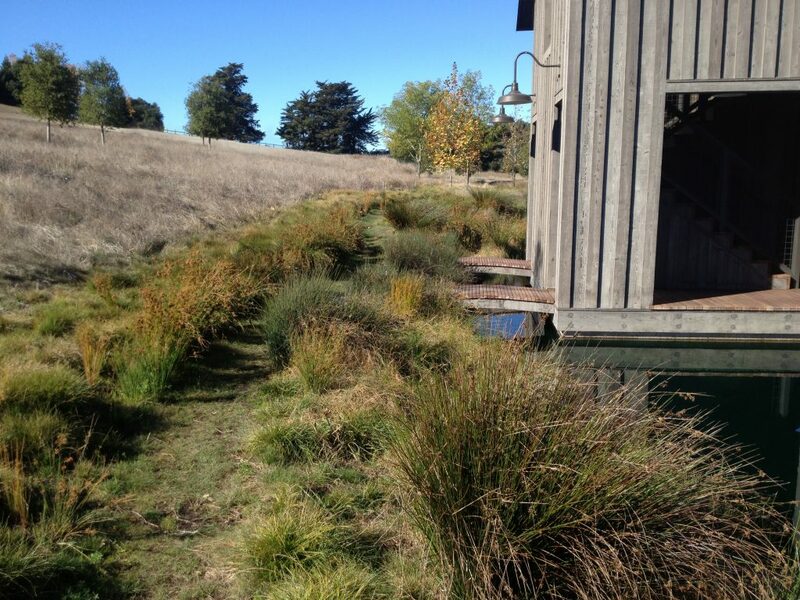 With a focus on water quality, the project incorporates aeration, recirculation and the use of beneficial bacteria. 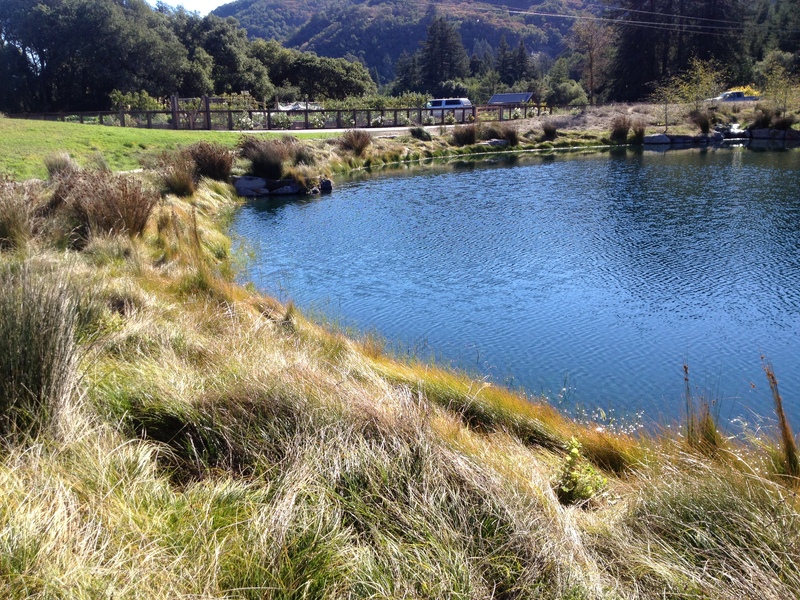 The finished pond provides open water habitat, recreation and aesthetic value.